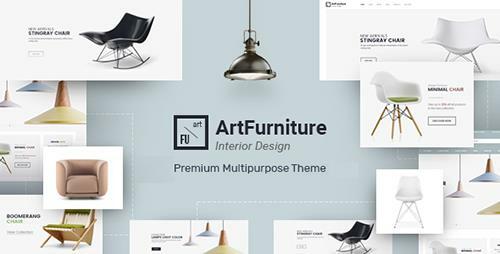 If being shop-owner of furniture store, sure you are interested in an online store and�ArtFurniture magento theme�is a great theme for your choice. Our furniture theme is professional, easy to install and configure. With many magento extensions,�ArtFurniture�bring you many interesting experiences. Slideshow is under Megamenu with nice text and lively transition. Category with thumbnail image and products are shown on homepage with easy configuration to custom number of rows, categories, number of products will be shown on each screen. Blog with furniture post, home-decor posts and useful information about decoration,... are on slider. Cms blocks such as free shipping, nice image about sofa, chairs, beds, light,...with meaningful text also are interleaved modules. Layered Navigation module will not only save shopping time of customers but it also brings convenience with filtering products by price, manufacturer, size, color,... Related products, upsell products are on slider in detail page. Google Rich Snippets are also integrated to achieve better distribution of your content to users from Search. What are you waiting for, own this�furniture responsive Magento theme�today!